"When I ordered my Nikon D200 I decided to get the current hot lens designed to go with it," said Mark Thalman, "the 18-200mm f/3.5-5.6 G ED-IF AF-S VR DX Zoom-Nikkor. This lens has been getting rave reviews in both lab and real world tests. I think Pop Photo said it was the best superzoom ever. I was excited when my order went through." "The day the package arrived, The Raptor Project was doing a show in the parking lot of my office. In fact the show was to start in less than half an hour. I couldn't get my D200 set up in time, so I decided to use a Nikon body I had been borrowing. I put away the Nikkor 80-200 F/2.8 lens, a large hunk of glass weighing in at roughly 2.8 pounds, that was already mounted on the camera. I unwrapped and mounted the brand new 18-200." "I set the camera to Aperture priority mode, set the lens to wide open, turned VR on and only thought about image composition for the next hour and a half. This is the fastest focusing, smoothest focusing, quietest lens I have ever used. But the most important aspect of a lens is the final product. I went inside to view the images and was happy with my decision to buy this lens." "About a week later, I decided to print one of my images as large as I could to see how it would turn out. This is where the rubber meets the road. The 11"X17" (A3) size print that I made of the Bald Eagle (Uncle Sam) with a backlit flag as the background was better than I had expected. The image on the screen is good, but the print is spectacular. 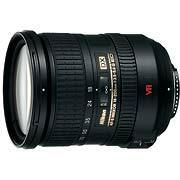 With the zoom range and VRII this is my favorite lens for all of my photography."